The smacktalk is starting to pick up. I hope you are embarking upon your summer training regimen. I know the guys who attended Bloomerfest all had their first taste of the Hacker Pscorr lager of the season and it was good. The two kegs were annihilated by the Herren. 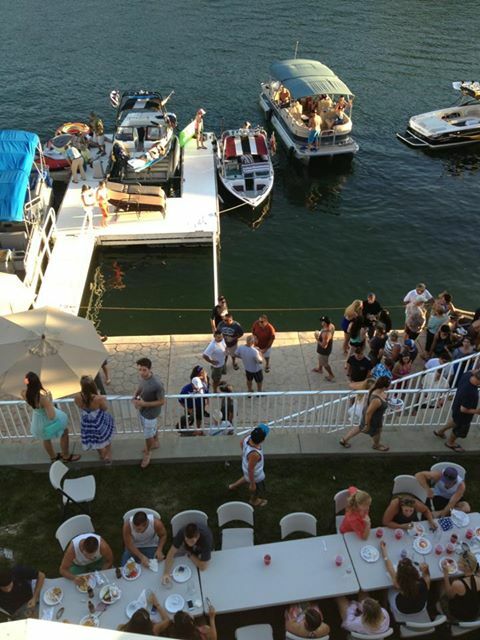 It was great to see MoJoe, MitchaPalooza, and ROY X or ROL X or D Unit and their wives and families at the lake. They all flew in from Chicagoland. On top of that we had another 150 of our friends show up and party on our deck at the lake. Scoop, Kimo, French Silk, Davey Boy, K BAX, Vido, Vedo, Sasek, Colvin, 7, Dee, Der Stinker, Drunkenstein, Dudelsacker, Blitz, Legacy, and a few future rookies all enjoyed the Munich Gold.